Never before seen super natural hair care items are finally here. 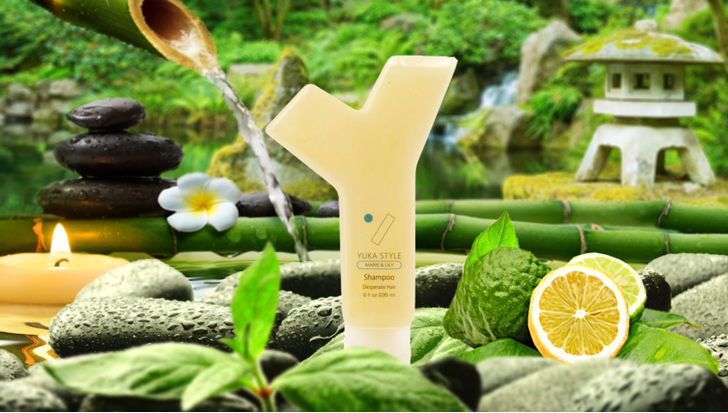 "PARABEN FREE" "SULFATE FREE" "BERGAMOT OIL"
Yuka Takahashi originally from Japan came to the United States in 2013 to carry on the legacy of Yuki Sharoni. She has experimented with many different international products and has worked vigorously for years to create her own authentic hair care line that she can proudly stand behind. Her experience and keen sense of beauty methodology has contributed to her rise as the leading beauty guru of Japan. When she came up with the interior design of Yuka Style salon she kept the theme “zen” which was a commonality with Yuki Sharoni maintaining Asian influences into her brand image. She is now on a journey to share her knowledge and styling aptitude with the world internationally on a global scale.